Your wedding will be a once in a lifetime experience! However, it’s important to keep in mind that this won’t be an inexpensive event. After all, every detail of your big day will come with a price tag. But, if you budget correctly, you can plan your wedding in a cost-friendly way! We are all guilty of having little spending habits! Whether it be a coffee from your local shop, or fast food for lunch, know that these expenses all add up! By cutting back on these purchases, you can save a great deal of money! So, brew your coffee at home, and pack and lunch, and you will have much more money to put towards your wedding. You most likely have an array of unused items just sitting around your home. You can provide these items with a new home by selling them! Whether you choose to have a yard sale, or even get rid of that extra vehicle that is just sitting your garage, know that any sales that you make can go towards paying for your big day. While we all must pay our mortgages, rent, and electric bills, know that there are some monthly bills that you can let go! 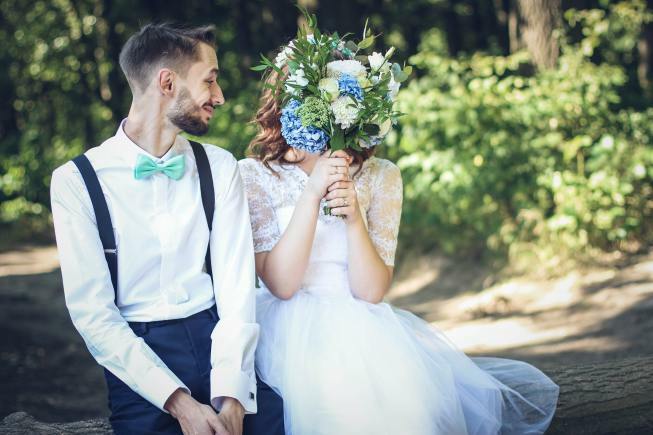 Gym memberships, TV streaming accounts, online shopping memberships; these are all expenses that you can let go throughout your wedding planning time that will assist you with saving some money. Saving money is certainly of importance when it comes to planning your wedding! These are just a few tips to assist you doing so. In addition to planning your wedding, you will also need to discover your wedding dress at a bridal boutique in Baltimore Maryland! So, please get in touch with us here at Lily’s Bridal & Prom Boutique, as we would be honored to assist you with selecting yours.